We’re continuing our How to Live Like a Local series as we travel the country attending indie book shows, sharing tips on how to soak in the local vibe on work trips with short amounts of free time. Last week I got to explore Tacoma, the land of mountains and ports and PNW charm. 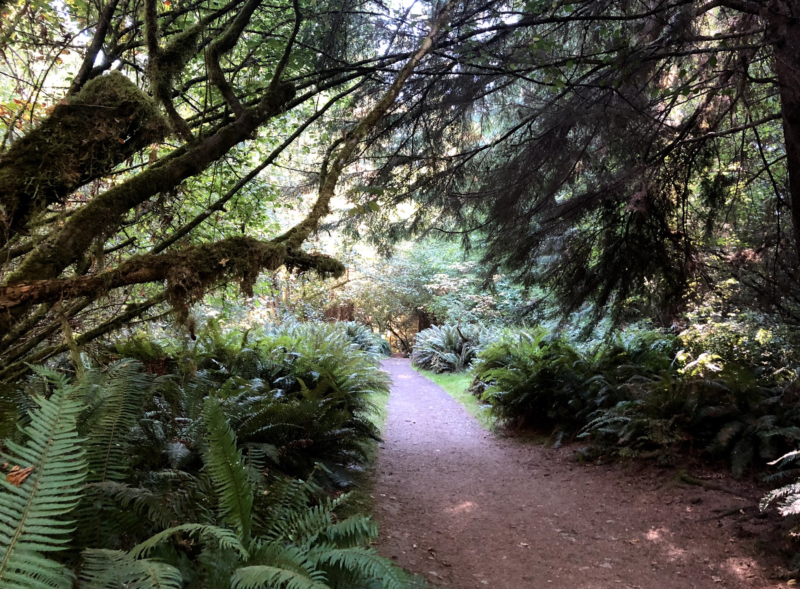 Despite its nickname of “The Grit City,” Tacoma is full of parks and trail systems that make you feel like you’re deep in the woods, not in the middle of a large metropolis. 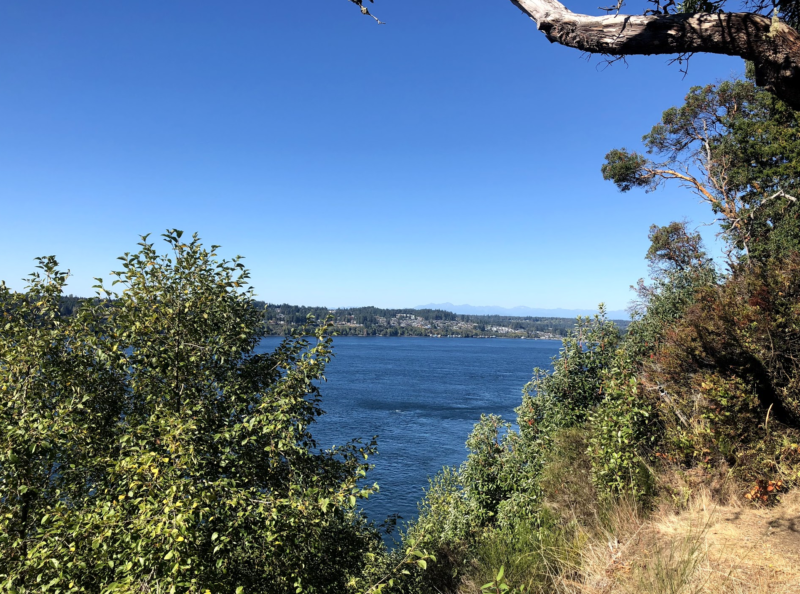 Conveniently, Tacoma is within an hour of Seattle, which meant I could reference our trusty guidebook 60 Hikes Within 60 Miles: Seattle when looking for adventures between work meetings. And lo and behold, there was a hike just minutes from the conference—perfect for a quick lunch break run! 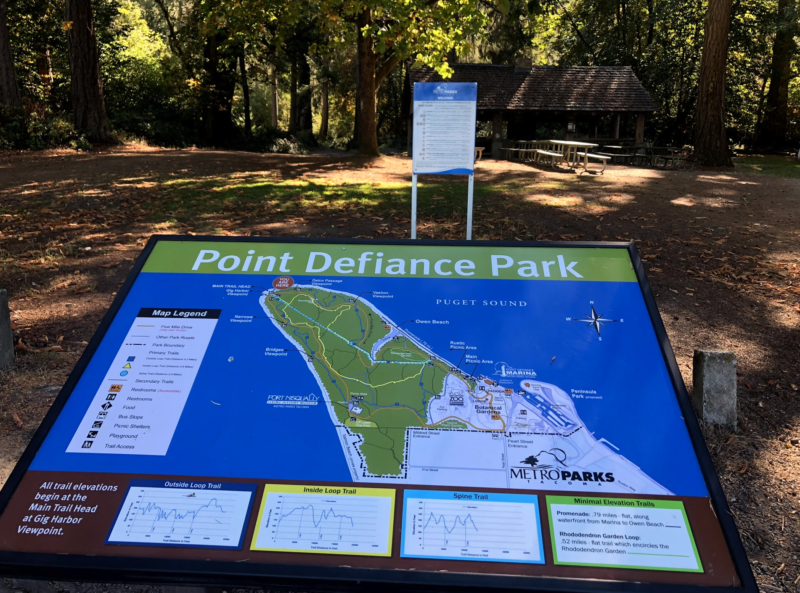 Point Defiance Park is the largest urban park in Pierce county, and is impressive in its offerings—a zoo, an aquarium, multiple gardens, beaches, a dog park, and miles of trail through old-growth forest. 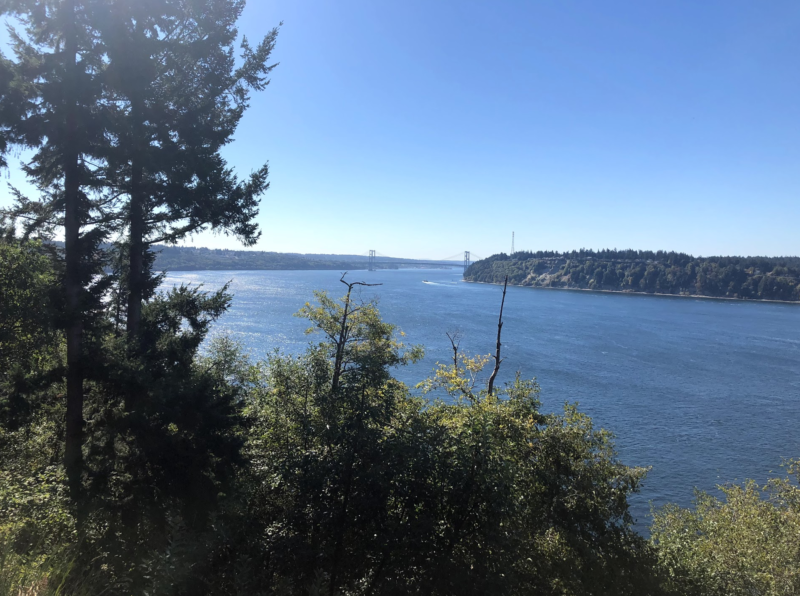 Oh, and jaw-dropping views of Mount Rainier, the Cascade Mountains, the Olympic mountains, the Tacoma Narrows, and nearby islands. All within 6 miles of downtown! Because I was on a lunch break and pressed for time, I elected to hit Five Mile Drive and hop out of my car and onto all the trails for short but scenic jaunts to get a taste of what the park had to offer. 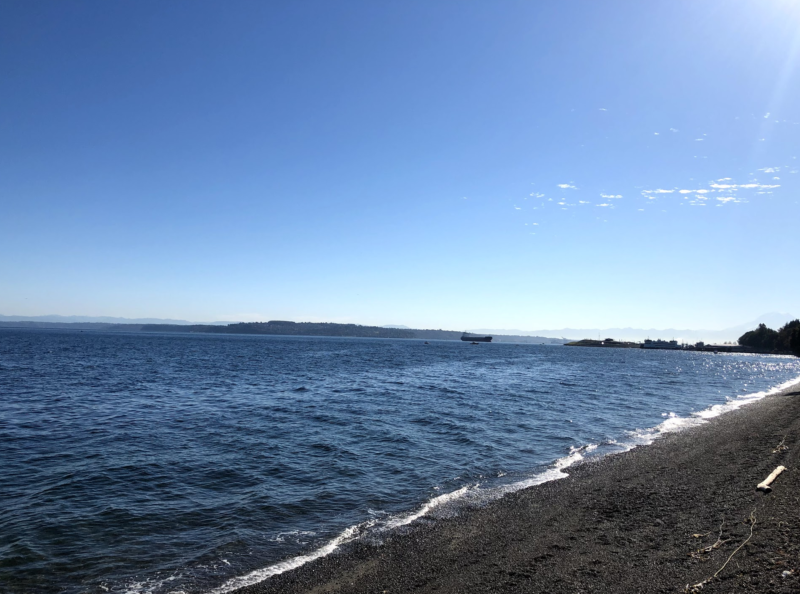 I started by parking at Owen Beach and running the Promenade—a path along the Puget Sound that looked as if it stretched right to the base of Rainier and had a pleasant soundtrack of lapping waves and crying seagulls. 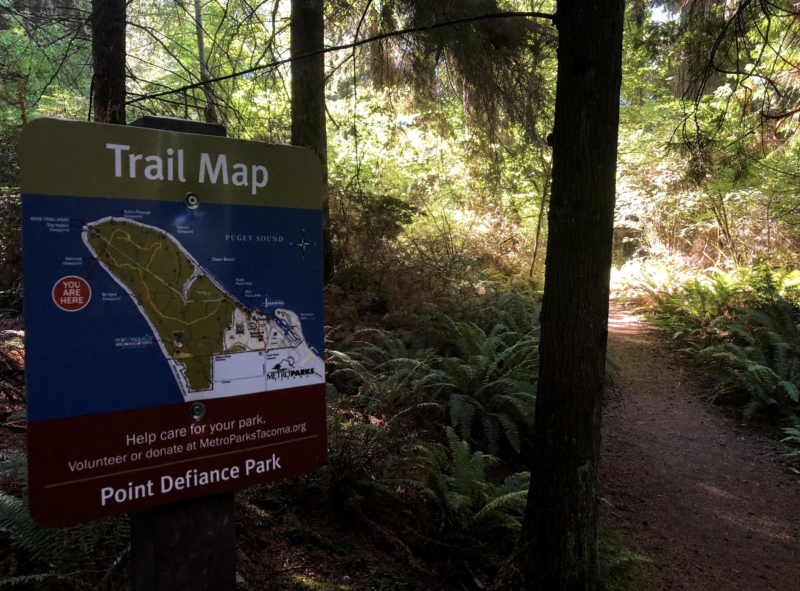 Jumping back into my car, I drove to the Gig Harbor Viewpoint, location of the park’s trailheads. 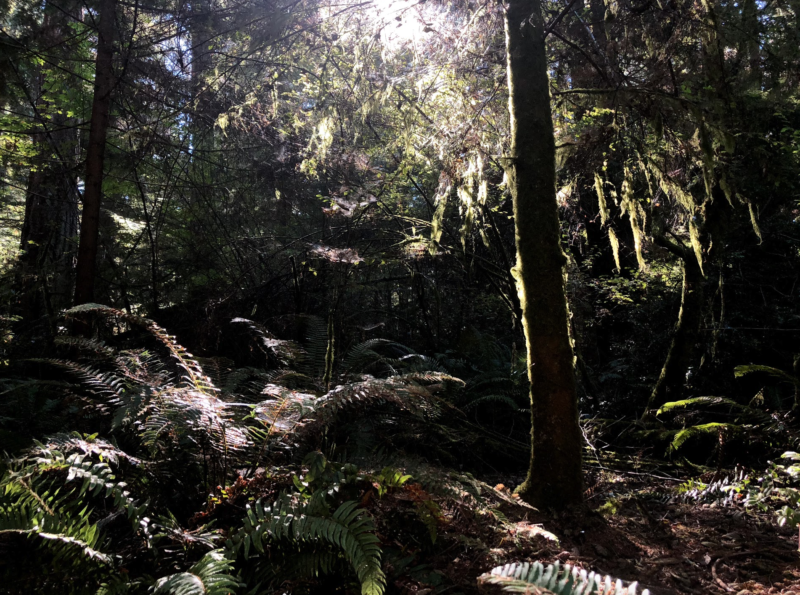 Doing short out-and-backs on the trails let me experience the diversity of the trails—the Outside Loop Trail had amazing views of the water and mountains, the Inside Loop Trail was a wonderland of ferns and moss and every shade of green in the crayon box, and the Spine Trail had enough elevation change to make it a worthwhile workout. Not to be outdone, the remainder of Five Mile Drive had pullouts that showed off the park’s views from every angle. After a quick stop at Antique Sandwich Company, a local and well-loved fair trade sandwich shop, I was back at the conference within 10 minutes. I lucked out by having an incredible park near me. If you’re not as fortunate, you can still use lunch breaks to wander the streets or set your alarm extra early to get in a pre-work hike.